Anthony “Prem” Carlisi and Heather “Radha” Carlisi, now “Pradha” :), came together initially as a teaching team in Sri Lanka 2007 at Prem’s then, Ashtanga Yoga retreat center, in Tangalle. Prior to this, neither Prem nor Radha had ever taught with a partner, or even considered it. Each had been teaching solo for decades. Their experience of coming together was a magical union which continued into a full tour through Northern Europe (Belgium, Holland, Norway , Germany, and many other places). They realized their combined energies created an even more powerful synergy together (Shiva/Shakti), manifesting in their sharing with students in the room. In addition to beginning teaching together Prem began writing his book “The Only Way Out is In” in Sri Lanka in 2006, with Radha’s help he completed the project in 2007. 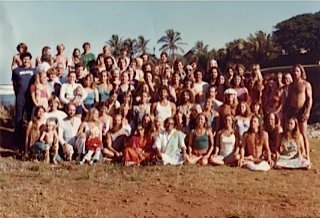 Although the center Prem created in Sri Lanka closed in spring 2008, they continued teaching together on a few more tours throughout Europe, as well as a yearly gig at Pineapple Yoga Studio, in Kauai, Hawaii created by their dear friend and brother, Eagle. In December 2008, they decided to explore Bali for a month of teaching and exploring the island. It went so well, they ended up staying another month into 2009 and taught at the well known center in Ubud called , “The Yoga Barn”. They quickly discovered that Ubud, Bali was their new OM away from home. Bali and it’s community opened their arms and the Ashtanga Yoga Bali Research Center,( the name was inspired by the name of Guruji’s school in Mysore, India: the Ashtanga Yoga Research Institute), was born in Ubud, Bali in November, 2009. At AYBRC, Prem and Radha continued to develop and create a special nature to their teaching different from most “mysore” rooms. They maintain the traditional system as taught by Sri K. Pattabhi Jois, their beloved Guruji who passed away in May 2009. Prem and Radha both had the good fortune to study with Guruji personally for many years. 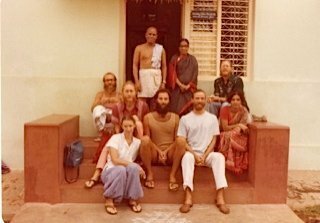 Prem began learning from Guruji back in 1978 while and Radha’s Ashtanga journey began by studying with Chuck Miller in 1990 followed by her first trip to Mysore, India to study in 1995. 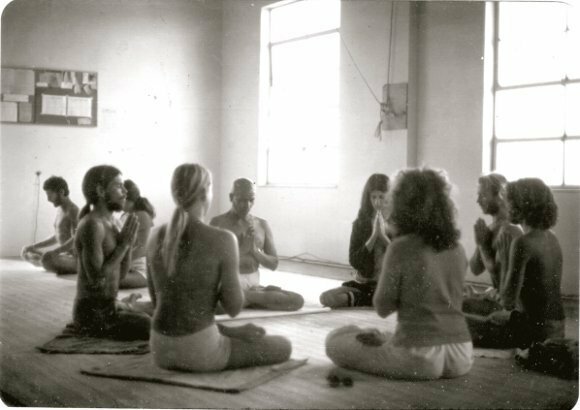 In addition to the traditional method, they also bring to their teaching the individualization that Krishnamacharya taught and passed to Guruji. 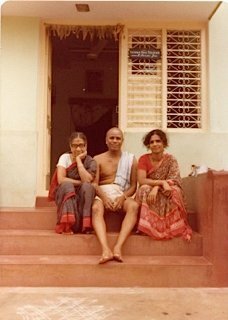 Krishnamacharya was the teacher of Sri K Pattabhi Jois, as well as the teacher of BKS Iyengar and, the father of TKV Desikachar. Prem and Radha work in a personable way, making the needs of each individual student a priority. In addition to their unique teaching style, they also bring in the concepts of Ayurveda and Tantra. Prem was a student of the renown Dr. Vasant Lad, having studied with him for 4 years, from 1983 to 1987, and has maintained a deep connection to the practice of Ayurveda as a lifestyle. He is also considered a “Doctor of Ayurveda” from his teacher Dr. Lad. Radha also has a deep interest in Ayurveda, particularly in the area of food and nutrition. She has studied with Maya Tiwari and Amadea Morningstar. She also credits Paul Pitchford , the author of Healing with Whole Foods, as begin a big inspiration. She shares her love of Ayurvedic cooking on a regular basis with cooking classes and as nutritional guidance in consultations. Guruji and Krishnamachariya were also strong advocates and practitioners of this art and science. They stated over and over again the importance of knowing the principles of Ayurveda. So the two elements of Ashtanga Yoga and Ayurveda blend well together in helping the students to achieve more than just a physical practice of asana, but a balanced lifestyle beyond that. They do personal consultations as well, but keep it about practical ways to change your life, rather than prescribing only herbal medications. They also have access to Pancha Karma programs if needed here in Ubud , which Prem works closely with on a consulting basis. The element of Tantra is a natural one, since they are both a practicing Yogi and Yogini (male and female practitioner of Yoga). This creates a synergy of the male and female aspects in the room and a balanced approach to not only the asana practice, but life itself! Tantra is a deep sharing of energy, not just a sexual one, as some view it, but a way of living and relating on a daily basis. Prem and Radha offer many things at AYBRC together in the unique and beautiful setting that is their home Yoga Shala in Bali. For more information, please see their “What we offer ” page, and join in for classes, workshops and special events!